Buying a Home in 2019? 11 Tips to Get It Done! If you’ve yet to enter the housing market, but are thinking of buying a home in 2019, there’s a lot you need to know. As I once pointed out, this isn’t your older sibling’s housing market. Not just anyone can get a mortgage these days. You actually have to qualify. But we’ll get to that in a minute. Let’s start by talking about home prices, which have soared in recent years. Yes, if you’re prepping to buy a home this year, expect to be shocked, and not in a good way. At this point in the cycle, home prices have eclipsed old all-time highs in many parts of the country. And even if they haven’t yet, there’s a good chance you’ll be paying more than the Zestimate or Redfin Estimate for the property in question due to limited inventory and strong demand. In short, expect to shell out a lot of dough if you want a home in 2019. Speaking of that home being out of your price range, you may want to get pre-approved with a bank or mortgage lender ASAP. First off, real estate agents won’t give you the time of day without one. And secondly, if you don’t know how much house you can afford, you’re basically wasting your time by perusing listings and going to open houses. This is especially true if the homes you’ve got your eye on are consistently going above asking. It’s not hard or all that time consuming to get a mortgage pre-approval, and it’ll give you more confidence and perhaps make you more serious about finally making the move. While you’re at it, you should check your credit scores (all 3 of them) and determine if anything needs to be addressed. As I always say, credit scoring changes can take time, so give yourself plenty of it. Don’t wait until the last minute. And as you’re addressing anything that needs more attention, do yourself a favor and put the credit cards in the freezer (or somewhere else out of reach). Lots of spending, even if you pay it back, can ding your scores, even if just momentarily. Bad timing can create big headaches. Additionally, pumping the brakes on spending might give you a nice buffer for closing costs, down payment funds, moving costs, and renovation expenses once you do buy. It’s the same story in 2019 as it was in 2018, 2017, 2016, and heck, even as far back as 2012. There’s really been a lack of inventory since the market bottomed because homes were never for sale en masse. Borrowers got foreclosed on or deployed real estate short sales to move on, and banks made sure inventory never flooded the market. Now we’ve got would-be sellers with nowhere to go, thanks to the massive price increases realized in the past few years. It’s hard to move up or downsize, so a lot of folks are staying put. That means less choice for you. You probably don’t have the same skill set as Joanna and Chip Gaines, but you might still wind up with a fixer-upper thanks to those inventory constraints. And that’s okay. What I’ve learned from buying real estate is that you’re typically never going to be content with the upgrades previous owners or developers make anyway. So why pay for it? There’s a good chance you’ll want to make the home yours, with special touches and changes that distance yourself from the previous owner. Don’t be afraid to go down that road, but also know the difference between blemishes and design challenges, and major problems. What’s even more annoying is that you may have to fight to get your hands on the few properties that are out there, depending on the housing market. In popular metros, bidding wars may still take place, though they shouldn’t be the norm as they were in previous years. But if the property is popular, there will always be someone willing to outbid you for that home they just must have. It’s okay to pay more than asking (or even the appraised value), just keep in mind that there are always more fish in the sea. Stay poised and don’t let your emotions get the best of you. Like anything else, it’s okay to walk away. Trust your gut. Just because 2019 will likely be a seller’s market once again doesn’t mean you can’t negotiate. You can still get into a bidding war, win the thing, and then inspect the heck out of the house. Inspections are key to determining what will need to be addressed once the home changes hands, and what the seller will need to do to compensate you for those issues. If you don’t get a quality inspection (or two), you will have a difficult time asking for credits for closing costs or even a lower purchase price. Take it very seriously. Also know that in some markets, buyers may have the upper hand in 2019. Not all real estate markets are red-hot anymore, so you might be able to bid below asking and still get money for repairs. While you might have your hands full with an overzealous real estate agent, it’s important not to neglect your mortgage homework. 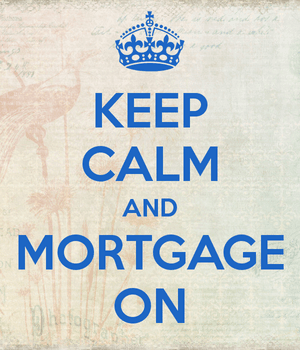 Mortgages are often just mailed in, with little attention given to where they are originated. Your real estate agent will have their preferred lender that you “really should consider using because they’re the best,” but you don’t have to use them or even speak to them. I’ll typically say get a quote from them as a courtesy, and to appease your agent, but also shop around with other banks, credit unions, lenders, and mortgage brokers. At the same time, think about how you want to structure the mortgage, including down payment, loan type (FHA or conventional), and loan program. The 30-year fixed isn’t a no-brainer. There are other programs that make sense too that often get swept under the rug. Make the choice yourself. If you’ve done your homework and are in good financial shape, you should be able to get your hands on a pretty low mortgage rate in 2019. While not absolutely rock-bottom anymore, mortgage interest rates are still historically amazing. And the 2019 mortgage rate forecast looks favorable, so they may stay put for awhile longer. In terms of financing, it’s still a great time to buy a home. Consider that the silver lining to an otherwise pricey and competitive housing market. But still make time to shop to ensure you get the best rate and the lowest fees. Just because rates are cheap doesn’t mean you should just accept what’s thrown in front of you. Still complain, still negotiate, still ask for more! Before you get too excited, or worried that time is running out, it might actually be in your favor to slow play this one. Per Zillow, the best time to buy a home may be in late summer, including the months of August and September. Basically, you’ve got the slow, cold months at the start of the year where there isn’t much inventory, followed by the strong spring housing market where everyone and their money wants to buy. Then you get a lull and perhaps even a dip in prices during summer, which could be an attractive entry point. You might even get lucky and snag a price cut with a lot less competition while other prospective buyers are on vacation. 11. Are You Sure You Want to Buy a Home? Lastly, take a moment to ensure you actually want to buy a home as opposed to continuing to rent. I constantly hear the old “throwing away money on rent” line and it never gets old. Then I proceed to fantasize about renting with not a care in the world. Are you sure you’re throwing away money on rent? Renting can be pretty awesome. You don’t pay property taxes, homeowners insurance, HOA dues, PMI, or mortgage interest. And you can leave whenever you want. That sounds like a sweet deal too. Oh, and if anything goes wrong, you can just call your landlord or property management company. With a home, the problem is yours, and yours alone to deal with. Read more: When to look for a house to buy.